Elephant Riding Travel Insurance, we compare policies covering accidents, medical emergencies and repatriation, loss of earnings and personal accident. Elephant riding is popular in Thailand and Africa and involves well-trained elephants riding through places such as forests and villages. It is possible to go on an elephant trek that lasts from 3-5 days that also includes mountain biking and rafting but it is also possible to go on an hour and a half trek. If you are a beginner it is important to ensure that you have a professional with you at all times and they help you plan a safe route. Elephant riding is generally very safe but it is important to get insurance to fully cover your ride. As with all insurance it is very important to ensure that all areas of your holiday are included within your insurance policy and not just the elephant riding. Remember to carefully read the terms and conditions to ensure you are covered for all your requirements. Don’t worry if you have just taken out insurance and aren’t happy as you realise it doesn’t fully cover you, as you have a 14 day cooling off period with any insurance cover. It is recommended that you look at all the different types of insurance offered to find the best policy for you as, if elephant riding is a one off holiday activity, it may be better to look at a single trip policy instead of an annual policy. Listed below are a number of policies which cover elephant riding under their travel insurance but please do check the policy documents carefully to ensure they fully meet your requirements. JS travel insurance offer elephant riding within their travel insurance policy, like the Flexicover Insurance policy they do not provide personal liability cover. You must also ensure that the activity is adequately supervised and that appropriate safety equipment is worn at all times. 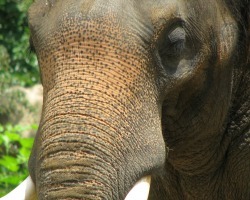 A quote of their insurance can be obtained from using the form found at the bottom of their page on elephant riding. If you have a pre-existing medical condition there is no reason why you shouldn’t get cover as JS travel Insurance also specialise in this area. Elephant riding insurance is covered by Flexicover’s travel insurance policy for no extra charge, however when elephant riding there is no cover for personal liability available. You also have to be adhering to local laws and regulations as well as using all the safety equipment that has been recommended to you. The main injuries gained from elephant riding come from falling off so, if you are a beginner, it is important to have a professional with you at all times and to plan you a safe route. There is also the possibility of heat stroke or sunburn so it is important to cover up and wear suntan location. Dehydration is also possible so remember to keep hydrated and take water along with you.